Anti-Iran pundits have begun to resurrect the MEK as the go-to group for ‘nuclear revelations’. (A role which had become redundant following the 2015 P5+1 nuclear deal with Iran.) 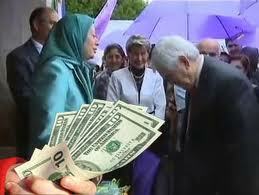 However, this has already backfired as the MEK are notorious for fabrication and lies. BREAKING: Amateur hour at the pro-war media, latest allegations against Iran FABRICATED. In the wake of the embarrassing new revelations that the top Israeli intelligence agency iscontradicting Bibi Netanyahu on his alarmist Iran intelligence, the well known liars, the “dissident” group NCRI (aka MEK), has jumped into damage control action and has released a suspiciously timed report that claims Iran has a new secret site. Countless media outlets including of course Faux News, have jumped on this as well. Here’s a Fox video segment about it. But it’s a total fabrication. The image included in the NCRI report is actually a product shot from the Iranian safe company. Original report as republished by the rabid pro-war site “Washington Free Beacon” and linked in their over-hyped story. GMP Safe company “explosion resistant doors” product shot. 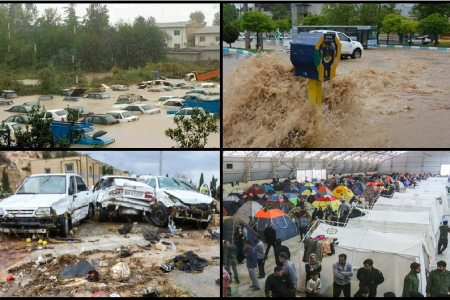 Satellite images the group culled from Google showed a large, walled complex of buildings at the foothills of the mountains outside Tehran. They also exhibited photographs purportedly taken inside the tunnel showing a steel door that they said was lined with lead to prevent radiation leaks. But why would a radiation resistant door be made out of stainless steel? Shouldn’t it be covered completely by lead? Also, these clowns supposedly infiltrated this large underground nuclear bunker, but only had like a 1990’s camera phone on them? Why not more pictures or videos? Well, once you see the real picture they stole (the product shot from GMP Safe Company), you see that the original shows windows with sunlight coming in from behind the safe. It’s clearly not in a secret underground bunker, but rather a warehouse which makes perfect sense for a safe. Here’s a partial shame list of the irresponsible and complicit media reporting on the report as fact without even a pretense of verification. 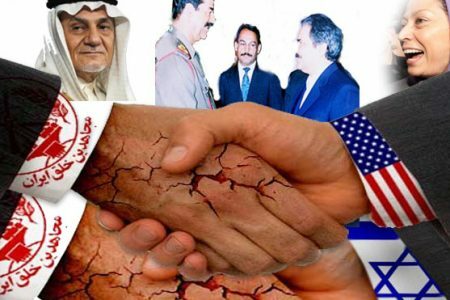 The latest NCRI revelations of a new “Lavizan 3” facility has been sent to the right wing and pro-war media and has been playing in the US non-stop. 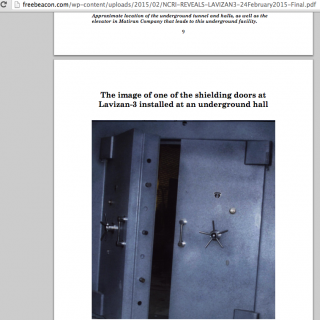 The group claims it has photo of a “steel door” designed to prevent radiation leaks. (Washington Post). Here’s a typical article. It links to the original report. The report feature only one singular picture as proof, they say was taken from an underground bunker that is “anti nuclear radiation”. 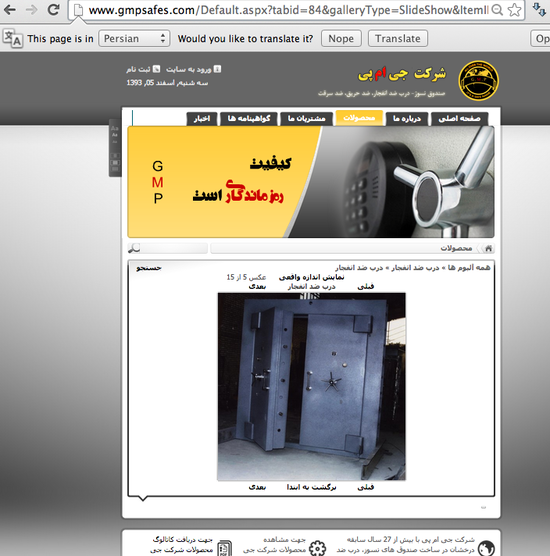 But the picture is from an Iranian safe company GMP It’s a product shot for their “explosive resistant” door. The NCRI is a front organization controlled by the People’s Mujahedin of Iran (MEK), a violent terrorist organization at war with Iran. It has targeted and killed many civilians including American citizens since the 1960’s. The group was listed as a terrorist organization until 2012 in the United States. The cult-like group has also perpetrated human rights abuses against its own members. 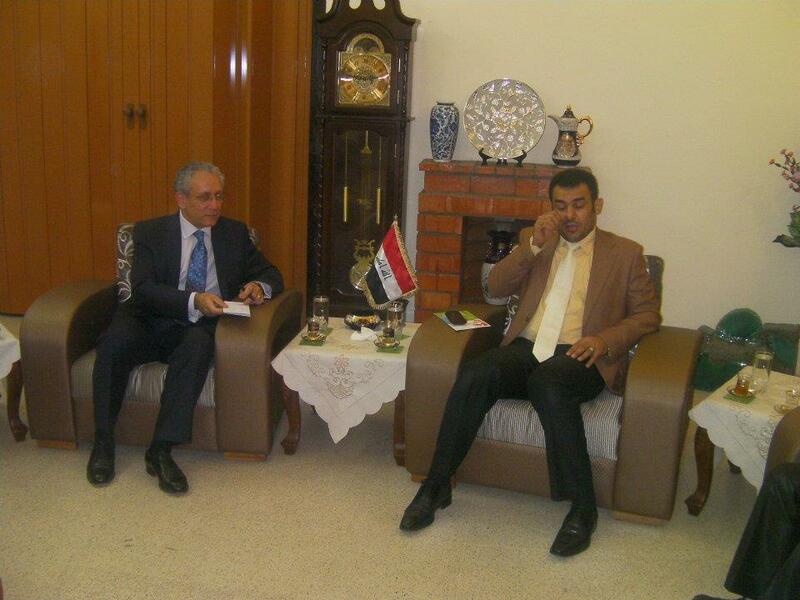 But in the post-Iraq invasion era, it has become a vocal supporter of military action by US and Israel. 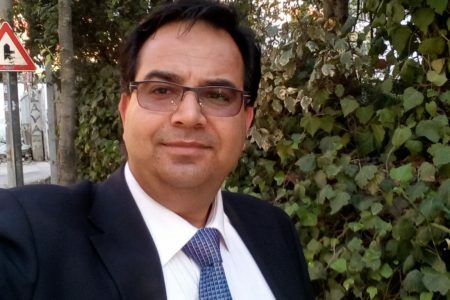 MEK participated in assassination of Iranian scientists and has an established relationship with Israel. Read this National Interest article for some of the details. The Islamic Republic of Iran has strongly rejected allegations about the existence of an underground nuclear research center in the northern part of Tehran as claimed by the terrorist Mujahedin-e Khalq Organization (MKO). In a Wednesday statement, Iran’s Permanent Mission to the United Nations called the allegations reported by The Washington Post “baseless” and “fake”. “It is regrettable that the newspaper has released false and repeated claims of a terrorist grouplet whose anti-human nature is evident to all,” the Fars news agency quoted the statement as saying. It reiterated that Iran’s nuclear energy program is peaceful and the allegations by the terrorist group are made out of desperation as Tehran has adopted a logical approach towards the issue. On Tuesday, the Post quoted MKO members as saying the site, referred to in the report as “Lavizan-3”, has been used “since 2008 to enrich uranium”. Similar claims by MKO have previously proven false while the group continues attempts to turn the matter into a security case, said the Iran mission to the UN. 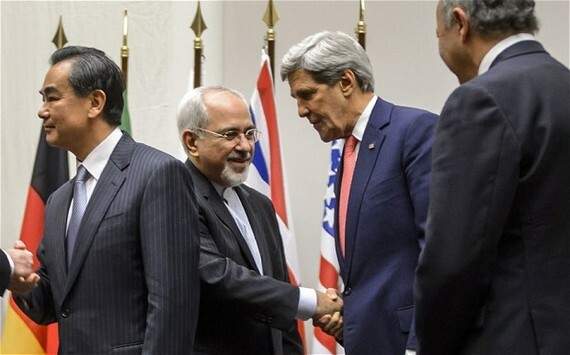 Tehran and the Sextet of world powers – the US, Britain, Russia, France, China, and Germany – have been engaged in nuclear negotiations in an effort to ink a high-profile political deal by the end of March and to confirm the full technical details of the accord by July 1. Iran has so far suspended some of its enrichment program in return for certain sanctions relief. They’ve been referred to as a “cult” and a “terrorist organisation” by Iran, the EU and the US at various times. 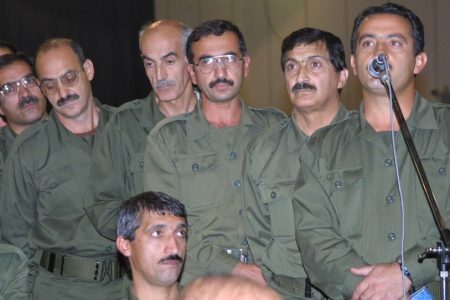 But the Mujahideen-e-Khalq (MEK), also known as the People’s Mujahideen of Iran (PMOI) have continued to endure as one of the longest-running militant groups opposing the Islamic Republic of Iran. Under the banner of their “coalition”, the National Council of Resistance of Iran (NCRI) have often worked to expose atrocities by the Islamic Republic and leak information regarding the country’s controversial nuclear programme. On Tuesday, the NCRI held a press conference in Washington to announce they had acquired evidence of a secret facility buried deep beneath the ground in the northeast suburbs of Tehran, engaged in uranium enrichment. They stated that their information came from “highly placed sources within the Iranian regime, as well as those involved in the nuclear weapons projects”. “The notion that the mullahs will abandon their nuclear weapons program thru [sic] nuclear talks is a misguided narrative, which is the by-product of the mullahs’ duplicity and western economic and political expediency,” the report concludes. This is not the first time the MEK have leaked information about Iranian nuclear ambitions – in 2002, the NCRI publicly announced the discovery of secret nuclear facilities at Arak and Natanz, which later allegedly became the basis for an investigation by the International Atomic Energy Agency (IAEA) and sparked the controversy over Iran’s true nuclear intentions that continues to this day. In 2004 it was reported that they had given German intelligence a series of documents which seemed to prove the existence of a nuclear facility at Lavizan and enrichment-related activity at the Parchin military complex. 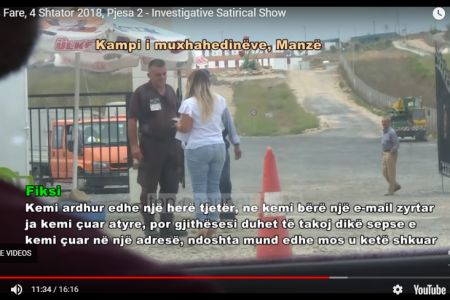 Evidence later emerged in an expose of Israeli spying practices which suggested that some or all of the documents had been given to the group by Israel’s Mossad secret service. Links between the two groups – who share a mutual enemy in the Islamic Republic – were alleged to go as far as training and arming, according to some reports. The NCRI began life in 1981, founded by MEK leader, Massoud Rajavi as a “parliament-in-exile” encompassing the MEK, the liberal National Democratic Front and the Democratic Party of Iranian Kurdistan. 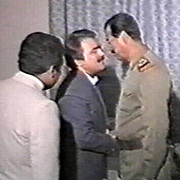 The latter two groups both left during the Iran-Iraq war, outraged at what they saw as the “pro-Iraq” position of the MEK, leaving the NCRI totally under the control of Rajavi’s organisation. 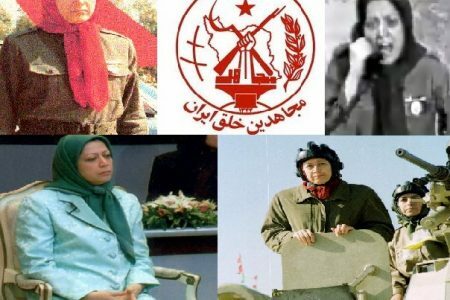 The MEK itself began life in 1965 when it was established as left-wing “Islamic-Marxist” organisation dedicated to fighting the then-monarchy of Shah Mohammed Reza Pahlavi. After taking part in the 1979 revolution that overthrew the Shah, they found themselves suppresed by Ruhollah Khomenei’s Islamic Republic. Following the banning of the organisation, they began a guerilla campaign against the Islamic Republic, even going as far as backing Saddam Hussein in the Iran-Iraq war. 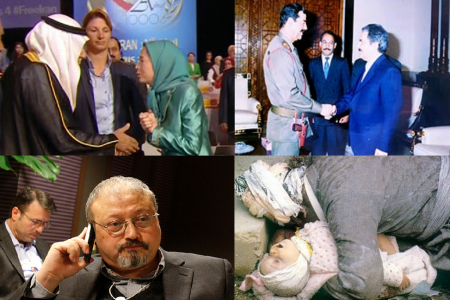 Since then, the MEK have established a reputation as a violent and often bizarre organisation. 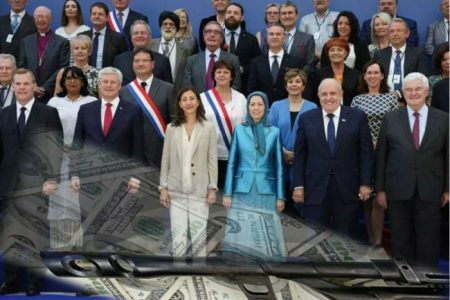 According to the Iranian government, the MEK have been responsible for over 12,000 deaths, through suicide bombings, assassinations and armed raids. 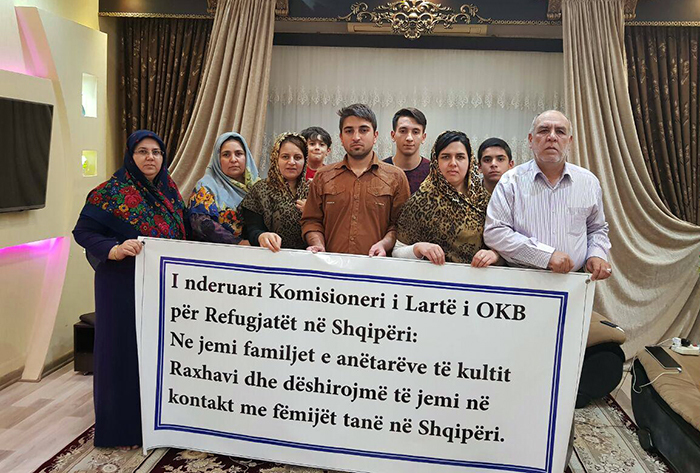 Operating primarily out of Camp Liberty in Iraq (and prior to 2013, Ashraf refugee camp, also in Iraq), the group have also hit the headlines for their organisational methods, which have been frequently referred to as “cult-like”. Former members have stated that joining the group involved something akin to brainwashing. “There was a black-and-white world view imposed; followers cutting themselves off from family; followers losing their personality,” one former member told VICE news. Other reports have spoken of forced divorces, public airings of hidden sexual fantasies and the idolising of leader Massoud Rajavi. Leaving the MEK is also, reportedly, easier said than done. A Human Rights Watch (HRW) report in 2005 suggested that 70 percent of Ashraf residents were being held there against their will. But the MEK have a broad support base in Europe and America, particularly among right-wing politicians who would not seem natural allies of their “Islamic-Marxist” ideology. David Amess, the British Conservative MP, has frequently tabled motions in the UK Parliament calling for the MEK’s de-listing as a terrorist organisation. In an op-ed for the Washington Times, he refers to the group as the “main opposition” in Iran. 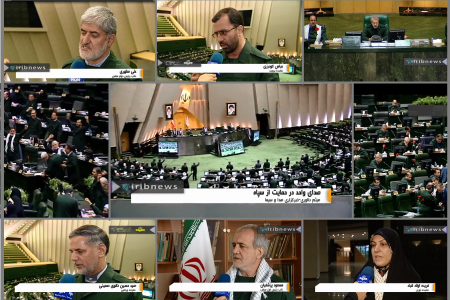 “It is ironic that as Mr. Ahmadinejad keeps lashing out against the very principles of the United States, the US keeps the main opposition enchained,” he added. 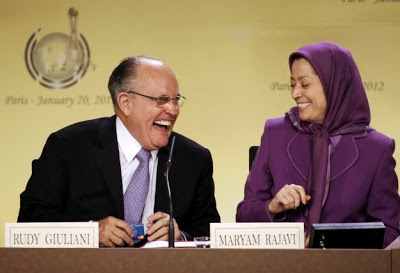 After major lobbying by MEK supporters – including Amess, former New York mayor, Rudy Guiliani, lawyer, Alan Dershowitz and numerous other Republican and Democrat politicians in the US – the group was eventually taken off the terror list in 2012. At the time former Governor Howard Dean of Vermont even went so far as to say that the MEK President elect , Maryam Rajavi, should be acknowledged as Iran’s legitimate ruler. 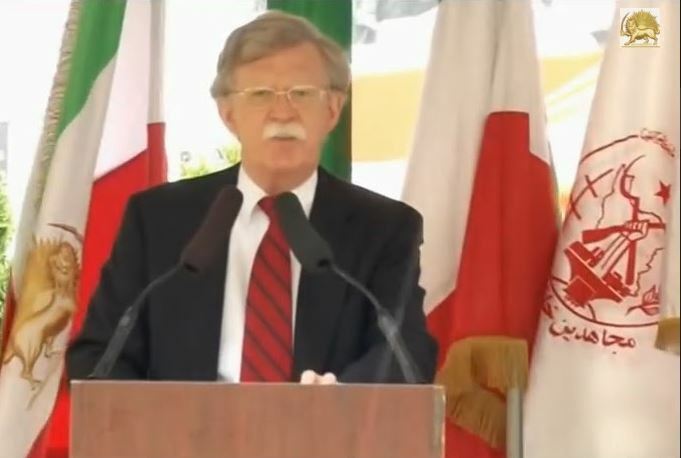 “Madame Rajavi does not sound like a terrorist to me – she sounds like a president – and her organisation should not be listed as a terrorist organisation,” he said, speaking to MEK supporters. Though Fox News was quick to run with the NCRI’s allegations as story, other media outlets have been hesitant to produce anything, even leading to a chastisement from the right-wing Jewish Press, who claimed the story had been “squelched”. 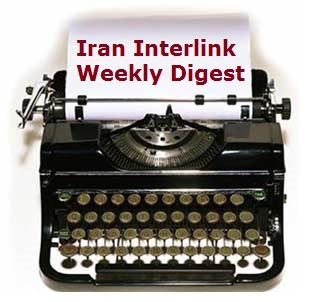 The absence of reports possibly reflects growing concerns about the reliability of the MEK as a source of information on internal Iranian affairs. “They have been right on occasion, but its not because their claim to have inside sources in the Iranian government is accurate,” investigative journalist, Gareth Porter told Middle East Eye. According to Mohamed ElBaradei, then head of the IAEA, after visiting the facilities at Arak and Natanz an IAEA team also “visited three locations at an industrial complex in Kolahdouz in western Tehran that had been mentioned in open source reports as relevant to enrichment activities” and found no “indications of activities involving the use of nuclear material”. Paul Kerr, of the website Arms Control Wonk also stated in 2005 that, according to an IAEA sources, further inspections by the IAEA based on MEK evidence had failed to produce results. 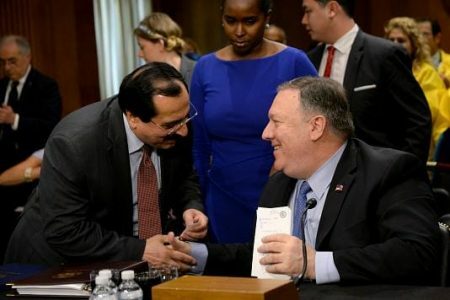 He also pointed out that, contrary to popular belief, US intelligence agencies had known about the existence of the Arak and Natanz nuclear facilities prior to the MEK expose and that they had highlighted the IAEA. The MEK also mistakenly classified Natanz as a “fuel production plant”. “News from this group is often good for getting right-wingers to show their “O” face and belittle the EU3’s diplomacy with Tehran, but it’s probably good that we’re not banking on these exiles for too much intel,” he opined. 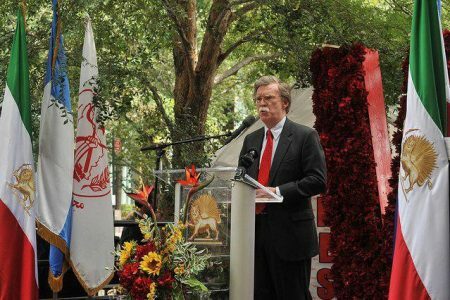 Gareth Porter said that the US intelligence community had been divided over the use of the MEK as a credible source on Iranian nuclear capabilities. 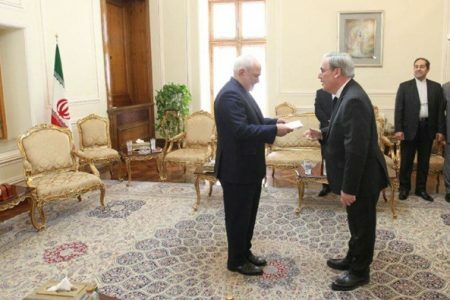 The move by the NCRI/MEK to release more information – authentic or not – on Iran’s nuclear capabilities was likely intended to throw a spanner in the works of the P5+1 talks to limit Iran’s nuclear plans. “MEK is naturally going to be nervous about any suggestion of an improvement in relations between the US and Iran,” he said. Jafarzadeh has already published his suicide bombing note. For more than three decades, the United States and its European allies have committed one fundamental error after another in the process of creating a commonly held narrative that Iran was secretly pursuing a nuclear weapons programme. The story of how suspicions of the Iranian programme hardened into convictions is a cautionary tale of political and institutional interests systematically distorting the judgments of both policymakers and intelligence analysts. Too many of these basic errors have been committed along the way to cover them all in a single article. But four major failures of policymaking and intelligence represent the broad outlines of this systematic problem. The first failure, which set in train all the others, involved the US trying to strangle the nuclear programme of the Islamic Republic in its cradle and then blithely acting as though it bore no responsibility for the resulting shift in Iranian nuclear policy. It all started with a decision by the Reagan administration early in the Iran-Iraq war in 1983 to put diplomatic pressure on its allies to stop all nuclear cooperation with Iran. France was pressed to forbid a French-based multilateral consortium from providing the nuclear fuel that Iran had counted on for its lone nuclear reactor at Bushehr. The US State Department acknowledged at the time that it had no evidence that Iran was working on or even wanted nuclear weapons. That US effort to choke off any nuclear assistance to Iran thus represented an extremely serious violation of the Non-Proliferation Treaty, which guaranteed Iran’s right to peaceful nuclear technology. Not surprisingly Iran responded to that US denial of its nuclear rights by defying US wishes and acquiring the technology to enrich uranium for nuclear fuel itself on the black market and later through negotiations with China and Russia. US aggressiveness toward Iran’s nuclear programme had backfired. But instead of recognising that it had made a serious error, Washington compounded the original policy blunder by treating the Iranian response as prima facie evidence of nuclear weapons intent. In 1995 Secretary of State Warren Christopher, in the course of explaining an order by President Bill Clinton banning all US trade and investment in Iran, accused Iran of having an “organised structure dedicated to acquiring and developing nuclear weapons.” That was an obvious reference to the Iranian efforts to acquire centrifuge and other enrichment technology. The Clinton administration thus acted as though there was no relationship between Iran’s interest in obtaining gas centrifuge technology and the US denial policy that preceded it. The CIA and other Western intelligence agencies began to drift away from reality on the Iran nuclear issue in the early 1990s, when Western intelligence agencies were gleefully poring over intercepted telexes from Sharif University in Tehran seeking various “dual use” technologies – those that could be used either for a nuclear programme or for non-nuclear applications. They had found that the telex number on many of the messages was that of the Physics Research Centre, which was known to do research for the Iranian defence ministry. That was enough to convince them that Iran was pursuing a covert nuclear weapons programme. The telexes ultimately turned out to be false positives, however. In late 2007 and early 2008, Iran turned over detailed documentation showing that every one of the “dual use” procurement items sought in those telexes had been requested by various faculties of Sharif University for faculty and student research. And the Physics Research Centre’s telex number was on the telexes because the former head of the organisation was teaching at the university and had been asked to help in the procurement of the items. The intelligence analysts had wrongly interpreted the inherently ambiguous “dual use” evidence as confirming pre-existing suspicions of Iran’s intentions. That analytical failure was a template for a series of four intelligence assessments of the Iranian nuclear programme by the CIA’s Nonproliferation Center and later by the US intelligence community as a whole that falsely concluded that Iran had an active nuclear weapons development programme as of the time of the assessment. That string of false positives raises serious questions about the 2007 US national intelligence estimate by a team of analysts that had just repeated the same mistake in a draft estimate only a few months earlier. The belief of Western governments that Iran must have pursued nuclear weapons has been based on their ignorance of a pivotal historical episode that should have caused them to question that belief. During the eight-year Iran-Iraq war, Saddam’s troops attacked Iran with chemical weapons many times, killing 20,000 Iranians and severely injuring 100,000. Yet Iran never retaliated with its own chemical weapons, as Joost Hiltermann’s A Poisonous Affair, the authoritative source on chemical attacks in that war, has documented. That fact poses a fundamental challenge to the Western narrative on the Iran nuclear issue, because there is no credible explanation for the Iranian failure to retaliate with chemical weapons other than the fact that supreme leader Ayatollah Ruhollah Khomeini had forbidden the possession and use of all weapons of mass destruction as illicit in Islam. The Revolutionary Guards acted on their own to acquire the capability to produce mustard gas weapons, as the wartime Iranian Minister for military procurement has confirmed in a recent interview. But his account of his meetings with supreme leader Ayatollah Khomeini also confirms that Khomeini pronounced a fatwa against such weapons early in the war and repeated it in 1987. The implications of that historical episode for an understanding of the politics of WMD policy in Iran are obviously far-reaching. It lends strong credibility to the Iranian claim that the current supreme leader’s fatwa against nuclear weapons is an absolute bar to Iran possessing such weapons. But the news media has continued to dismiss the problem by clinging to an old narrative, which was based on false information that Iran not only had possessed chemical weapons but also had used them. 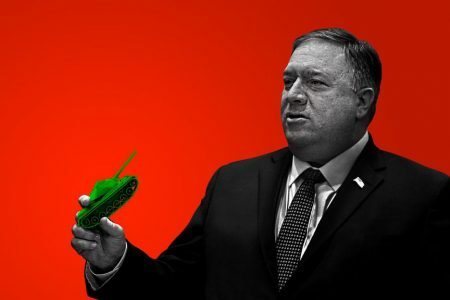 For nearly a decade, the international politics of the Iran nuclear issue have revolved around intelligence documents and reports of Iran nuclear weapons work. A 1,000-page cache of documents that surfaced in 2004 showed the redesign of Iran’s Shahab-3 missile to accommodate a nuclear weapon and high explosives experiments that could only be used for nuclear weapons. More incriminating intelligence documents followed in 2008-09. The IAEA has now been investigating them for nine years. But Western governments, abetted by compliant news media coverage, have chosen to ignore the considerable evidence that these documents were of very dubious origins. 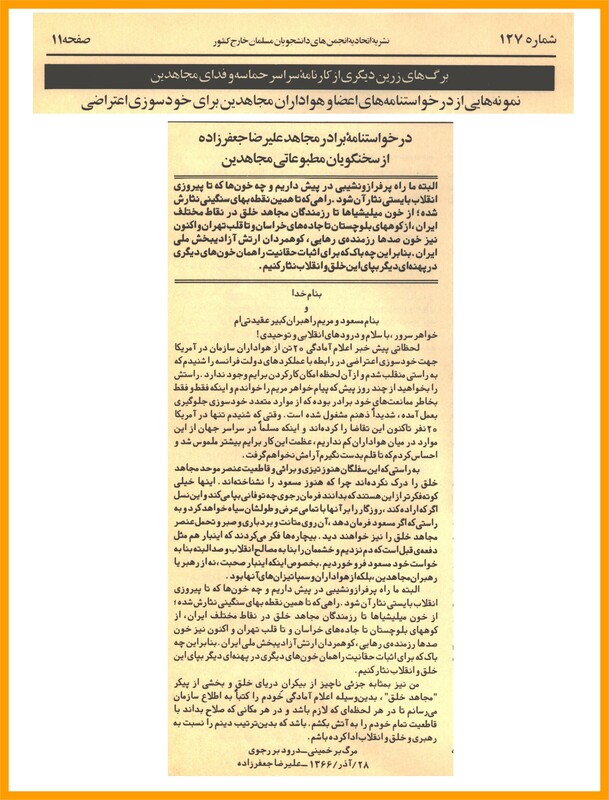 Contrary to the cover story that the documents were passed on to Western intelligence by a participant in a covert Iranian programme or by a German spy, a former senior German foreign office official has now revealed that the German intelligence agency, the Bundesnachrichtendienst, obtained them from a sometime source who was a member of the Iranian exile terrorist organisation Mujahedeen E-Khalq (MEK). 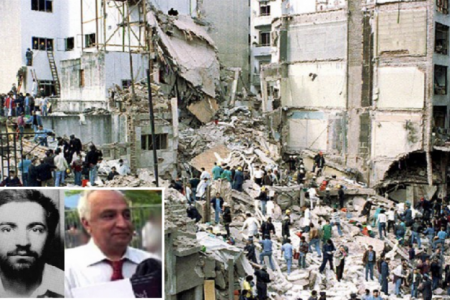 The MEK was then serving Israel’s Mossad as a means of laundering alleged intelligence, so it is safe to assume that the documents came from Israel. IAEA director general Mohamed El Baradei (1997-2009), who insisted that the documents had not been authenticated, recalled in his memoirs, “No-one knew if any of this was real.” Against the wishes of the Bush administration, he refused to use them as evidence against Iran. Major contradictions between information in the papers and the independently verifiable timelines of Iran’s missile and nuclear programmes indicated that the authors were not Iranian specialists. The re-entry vehicle depicted in the studies, for example, was not the one that Iran was redesigning at the time and that was revealed to the world only after the documents were handed over. El Baradei also revealed that a subsequent series of intelligence documents, which included the claim that Iran had installed a large cylinder at Parchin to test atomic weapons designs, had been passed on to the IAEA directly by Israel. That intelligence proved to be equally problematic: former IAEA nuclear weapons expert Robert Kelley found the Parchin cylinder claim technically implausible. The US government and its Western allies have all closed their eyes, however, to the evidence that these documents were designed to justify US action by the United States against the Islamic republic. The political convenience of the accepted narrative of the Iran nuclear issue has continued to suppress any active interest in learning the truth. – Gareth Porter is an independent investigative journalist and historian writing on US national security policy. 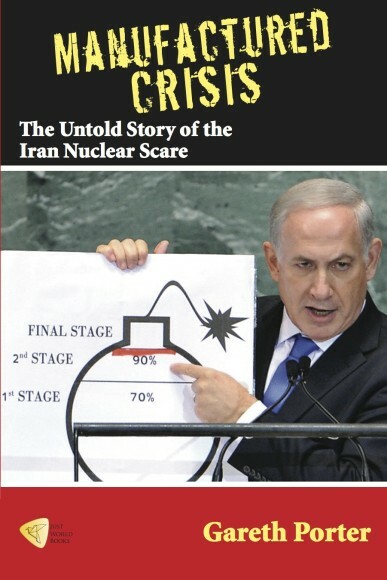 His latest book, “Manufactured Crisis: The Untold Story of the Iran Nuclear Scare,” was published in February 2014.